AS OF 21 December 2004 NOTHING - ZERO - FREE! However, for the sake of History here are the prices that used to be charged. 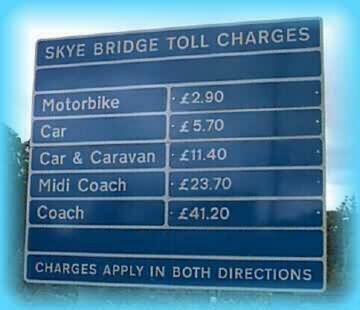 The tolls for the bridge depended on the time of year - Winter prices were charged between October and April. Summer prices from April to October. All prices are for ONE way. 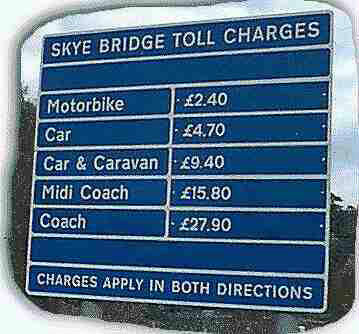 Note that a caravan is charged the same as another car.